Insurance giant Aviva is hunting for a new CIO after the departure of chief operating officer (COO) Cathryn Riley. Formerly the Aviva CIO, Cathryn Riley combined the job with that of COO when she was promoted in April 2012. She first joined Aviva in 2000. 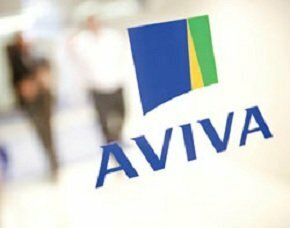 Computer Weekly understands that Aviva is looking to recruit a new group CIO role as a result of Riley’s departure. At the end of last year, Riley recruited former HM Revenue & Customs (HMRC) CIO Phil Pavitt into Aviva as global director of IT transformation. Earlier this month, Pavitt was joined by his former deputy at HMRC, Mark Hall, who is now Aviva’s director of service management. Hall left HMRC after being overlooked for the CIO job at the Whitehall department. Aviva announced in April that it was cutting 2,000 roles – equivalent to 6% of its 31,200 workforce – as part of a plan to save £400m, after CEO Mark Wilson revealed a £3bn loss in the insurer’s annual results in March. IT is playing an important part in Aviva’s turnaround plan, although Computer Weekly sources suggested that several hundred of the roles that were removed came from the IT department. Reports earlier this year also said that 600 Aviva jobs were being relocated to India as part of a business process outsourcing arrangement.